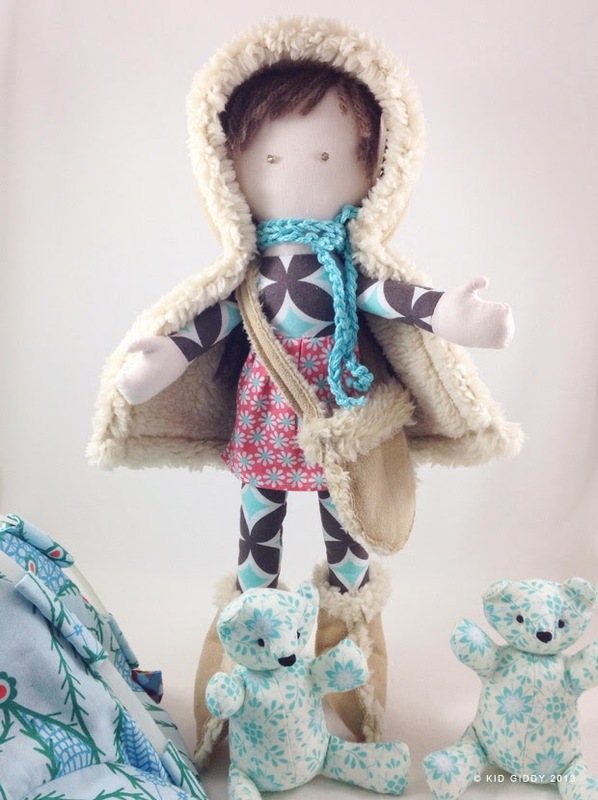 Today is the last day of the Sewing Tales Book Blog Hop, someone pass me the tissues. 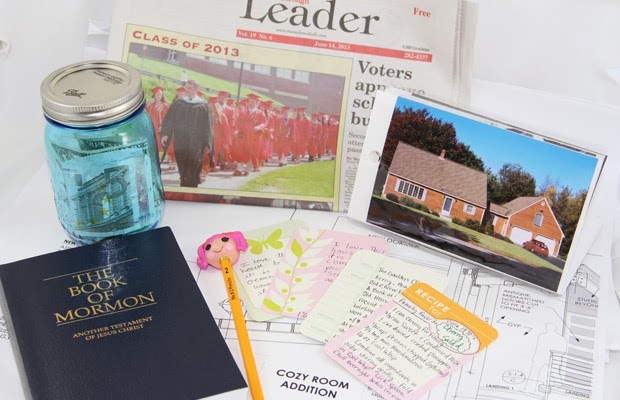 It's been so much fun seeing all the projects others have made and their stories; the why or who they have made it for, and the memories it sparked. I was working last night on the final bonus project but it wasn't shaping up as I hoped it would. I'm going to rework it today and post it when it's ready. In the meantime, you can enjoy those blog posts up above, and come up with a funny caption for my trial and error photo shoot from last night, before I decided that going to bed would be my best defense against this nasty cold. Isn't she so funny?! She was having a giggle fest in her little get up and couldn't help herself and finally fell over laughing! 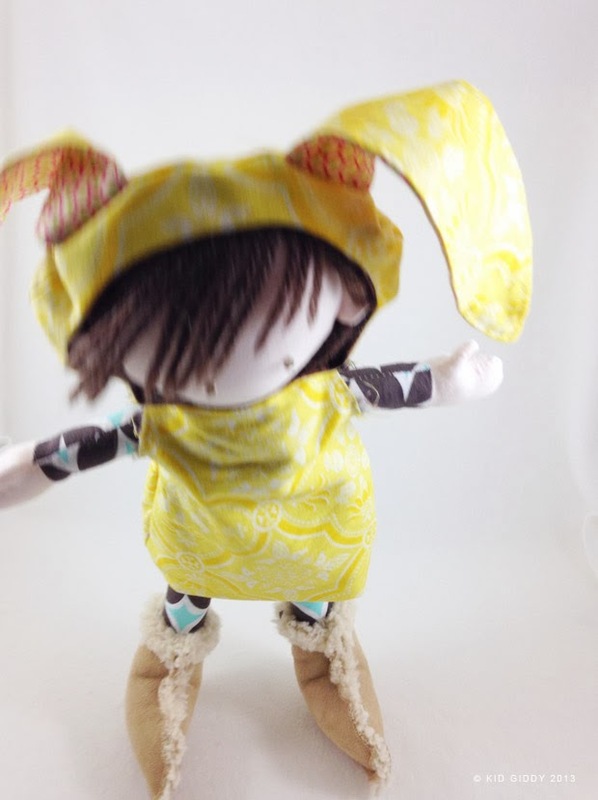 Ok - off to reworked this outfit, and then get some thumbcovers shipped, then a nap while soup simmers on the stove. I hope you all have a wonderful weekend. I hope you have entered for your chance to win a copy of my book and a goodie box the size of Texas to go with it on my giveaway post! If you haven't already, please click that link below and sign up to receive my newsletters. Have a great day. 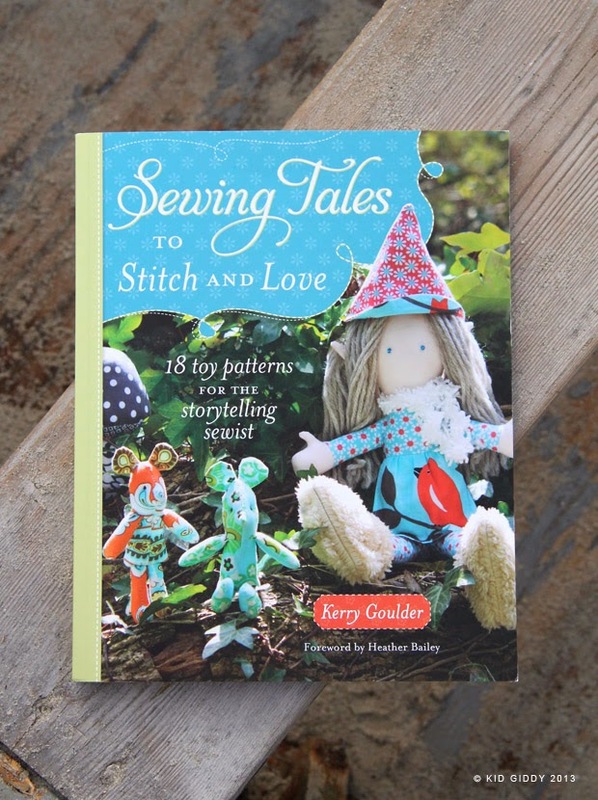 It's the second to last day of the Sewing Tales Book Blog Hop and I don't know about you, but I am having a blast! I really hope you are too, esp with all the free bonus projects. Have you made one yet? If you have, I'd love to see it. 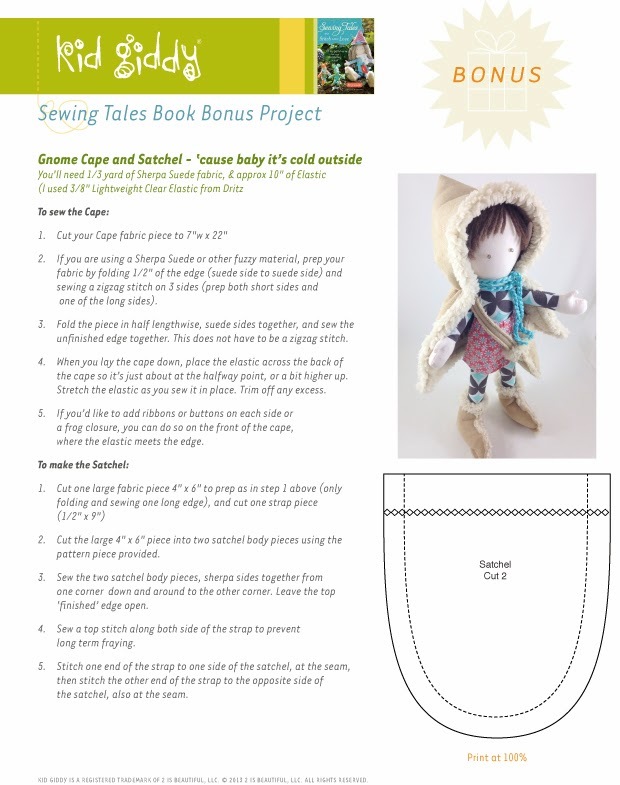 You can tag me on social media (I'm @kidgiddy everything), and you can use the hashtag #SewingTalesBookBonus too. Then I can see what you made. 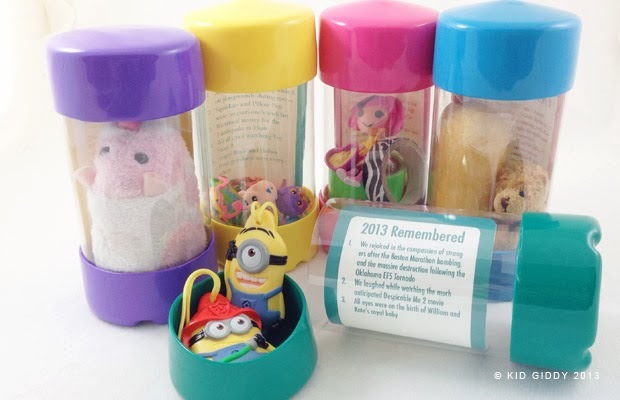 "All the Little Extras" are here. 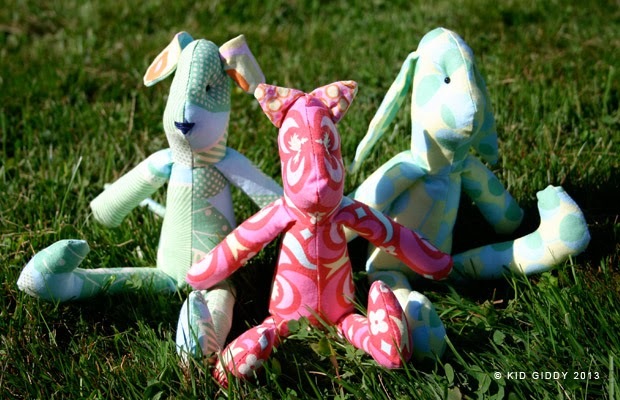 Many years ago when I first created the mouse pattern that is in my book, I also made it into a Kitty, Puppy and Bunny. 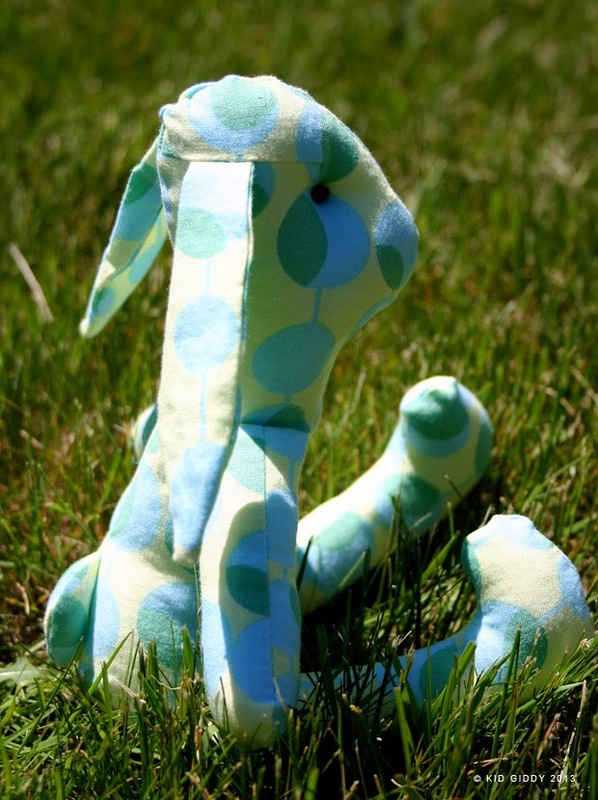 Check out today's free bonus project sheet, so you can convert the mouse pattern - into a Kitty, Puppy or Bunny instead. Thanks so much for coming by and for supporting the blog hop and my book. Make sure you stop in tomorrow for final 4 bloggers and the final Sewing Tales Book Bonus project, I'll try not to cry if you won't! It's been so much fun, I hate to see the hoppin' party end. If you haven't already, please click that link below and sign up to receive my newsletters, to find out when other fun things are happening. Have a great Thursday. Enter for your chance to win a copy of my book and a goodie box the size of Texas to go with it on my giveaway post! Giveaway ends November 14th. 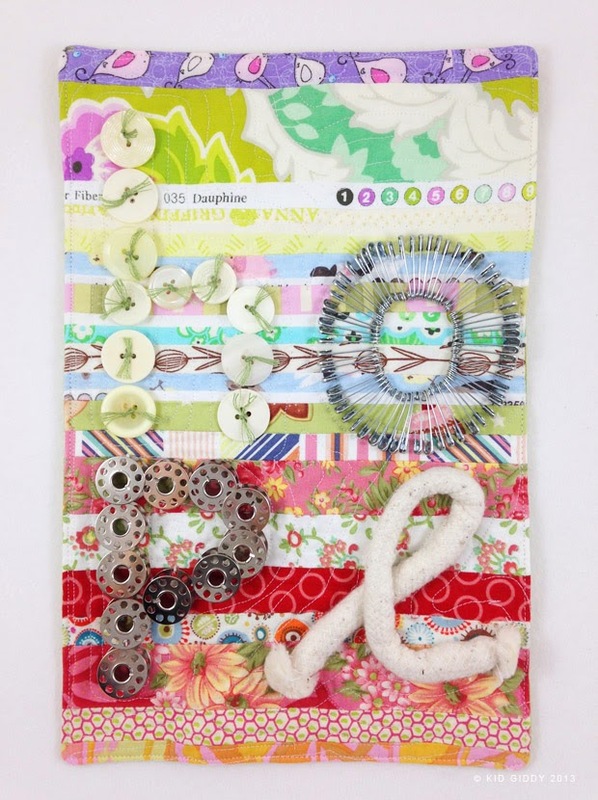 Thank you again to the Sewing Tales Blog hop sponsors. You can click on this image below and find out more information about each sponsor. 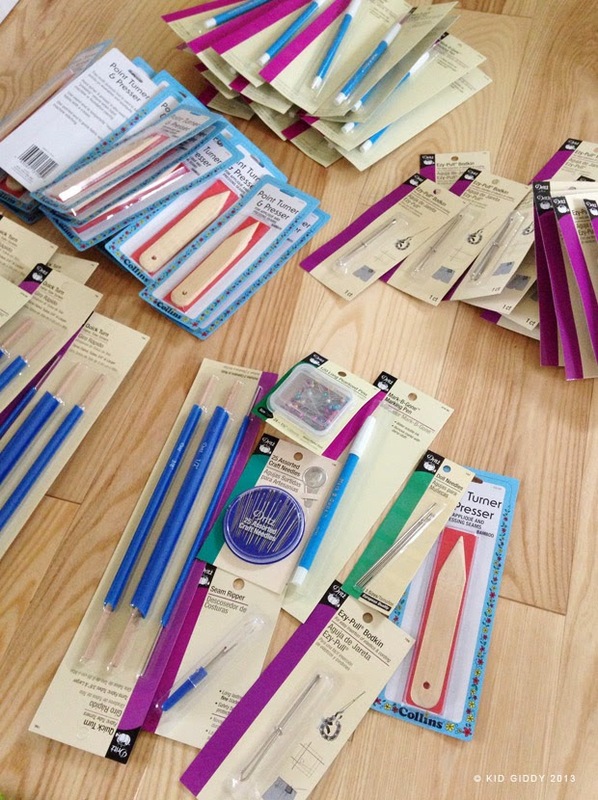 Thank you Fairfield, Dritz, Fiskars, Bosal & FreeSpirit. 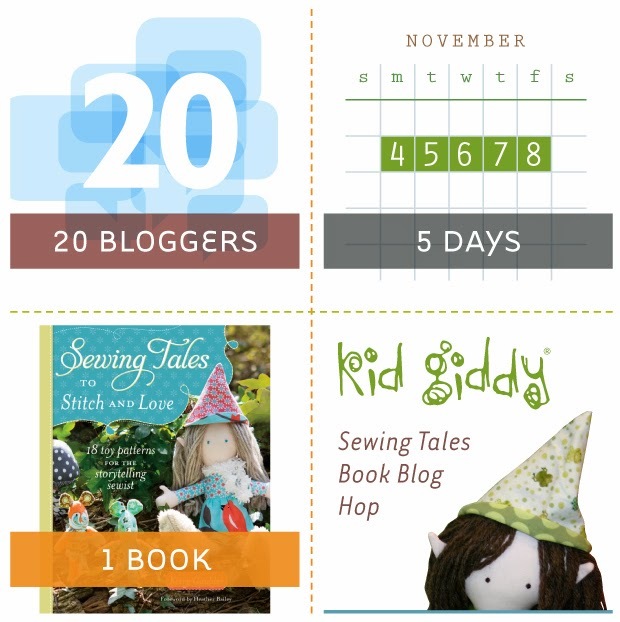 So by now you know all about the Sewing Tales Book Blog Hop, the "20 Bloggers in 5 days talking about 1 book" - right? 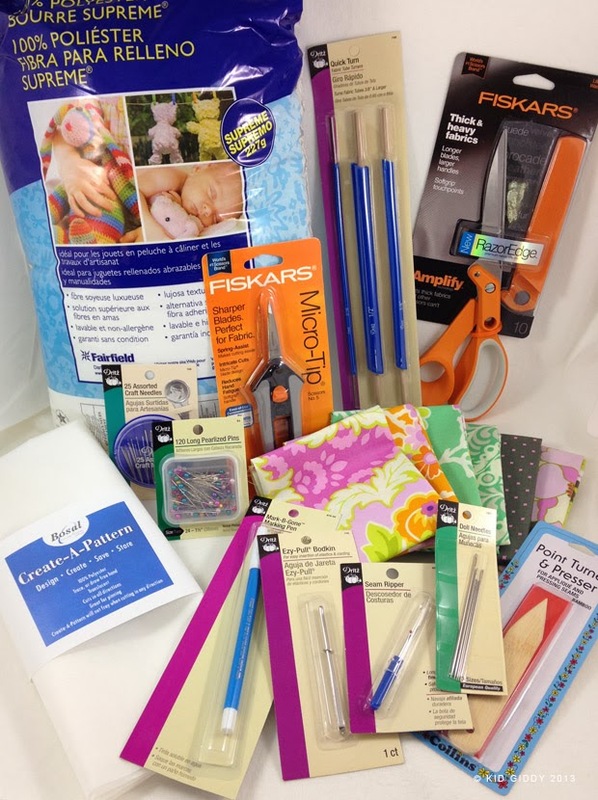 And you know all the awesome Sewing Tales Book Blog Hop Sponsors then too, right?...how they provided all the necessary tools and fabric for the bloggers participating in the hop - you know - that "goodie box", right?. Well - guess what?! They gave me more, and it's time to party. I've had a couple of giveaways on other social media sites, before and during Quilt Market, but now I'm hosting one here. This is a big one - this is the same goodie box the bloggers got but with 2 extra Fat Quarters of Heather Bailey's new Lottie Da fabric! Fiskars: RazorEdge Fabric Shears (9”) because no one should cut tons of fabric without a really great pair of fabric shears, and my all time favorite Easy Action MicroTip Scissors so you don't have arthritic painful hands after clipping and notching all of your edges. Dritz Tools: The Quick Turn Tool set that I can't make fun stuff without, a Bodkin (I call these fabric tweezers), an ever loving Seam Ripper we wish we never needed, a package of 5 various sized Doll Needles, a little package of 25 Assorted Craft Needles, a (reusable) box of Straight Ball Pins, a blue water soluble Fabric Marking Pen, and a Bamboo Point Turner (I also use this for pressing seams or creasing center marks instead of a little iron). 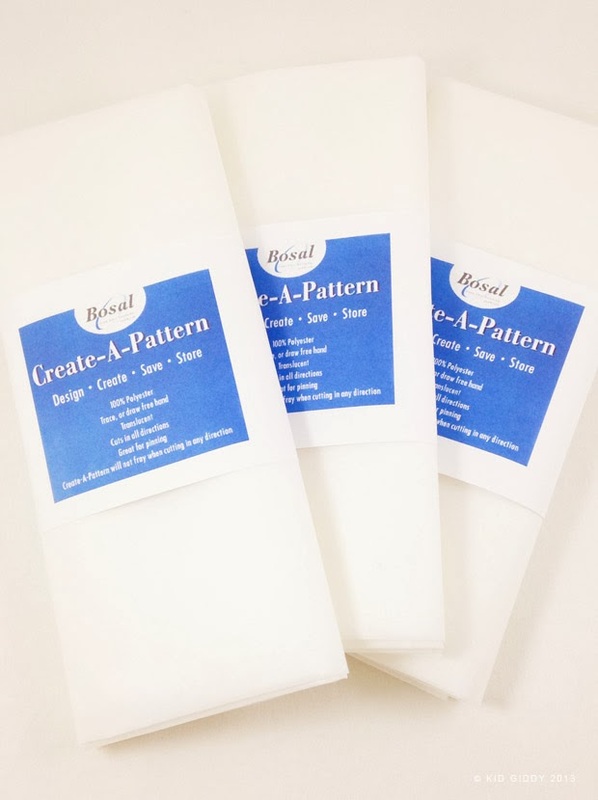 Bosal Foam: 1 Yard of their Create-A-Pattern paper to trace a lot of your pattern pieces on. So how does that sound? Great - right?! Now the question is - what do you have to do to win it. Enter your name into the rafflecopter giveaway link below, tap your shoes together and say ten times "I think I can win, add more giddy to my life". Ok - not really, but it was funny anyway.. Thanks so much for all the book love, sponsor love, blog hop love and I now wish you good luck. 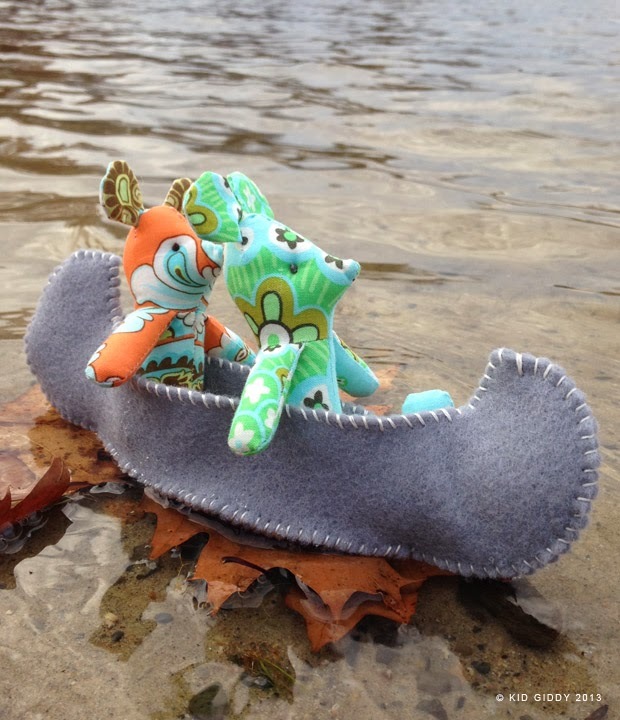 Whew, the canoe is done. 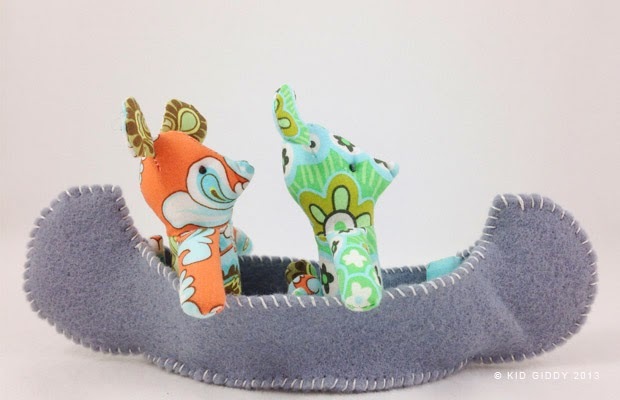 This pattern can be printed at the regular size and fit two little mice inside. You can also shrink the pattern and make it a cute personalized, tiny ornament for your holiday tree. Today I will also be posting an awesome giveaway you won't want to miss so keep your blog eyes open...and think winning thoughts. Thanks so much for coming by and for supporting the blog hop and my book. 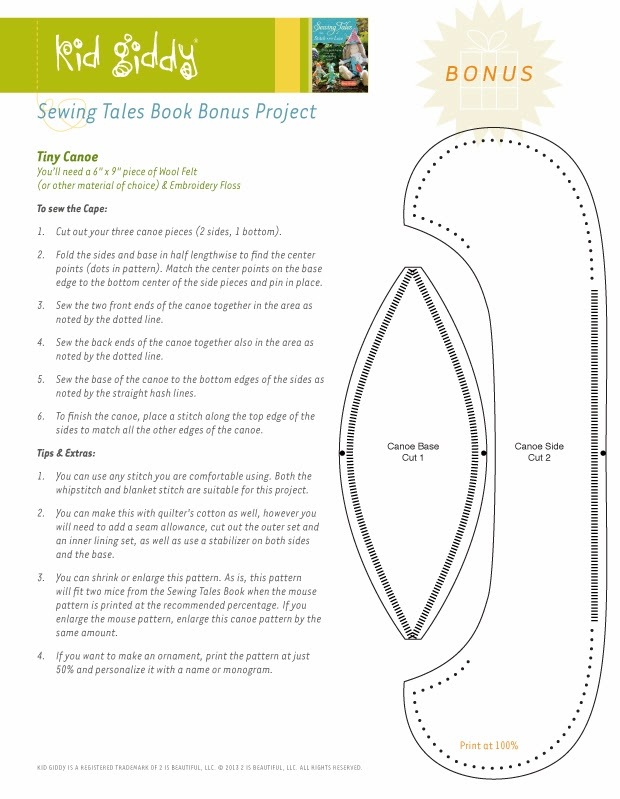 Make sure you stop in tomorrow for 4 of the final 8 bloggers and another fun Sewing Tales Book Bonus project! If you haven't already, please click that link below and sign up to receive my newsletters. Have a great Wednesday. 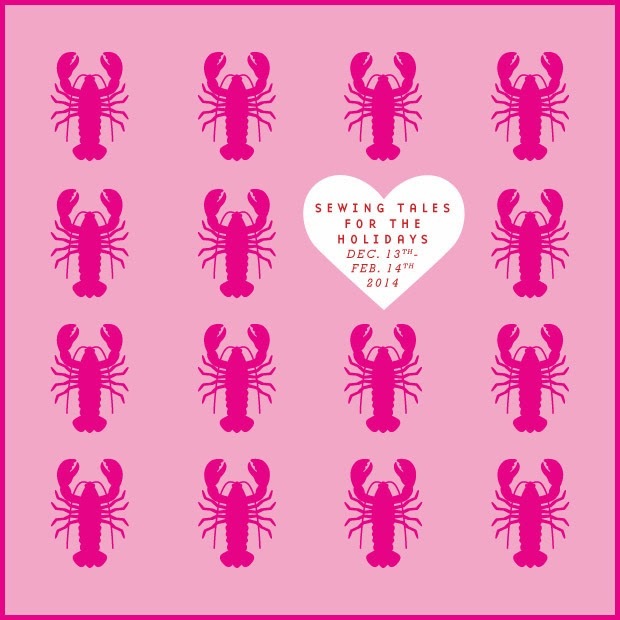 Thank you again to the Sewing Tales Blog hop sponsors. You can click on this image below and find out more information about each sponsor. 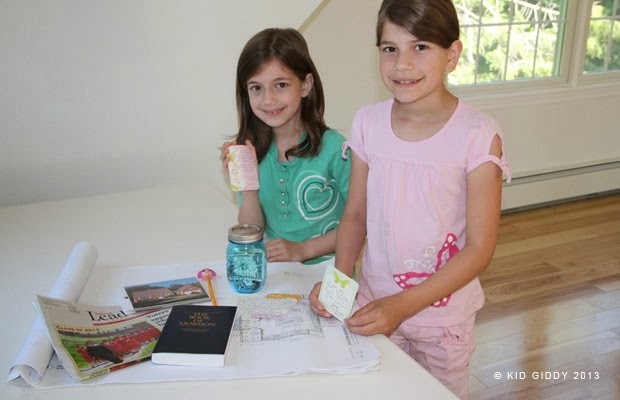 Thank you Fairfield, Dritz, Fiskars, Bosal & FreeSpirit. 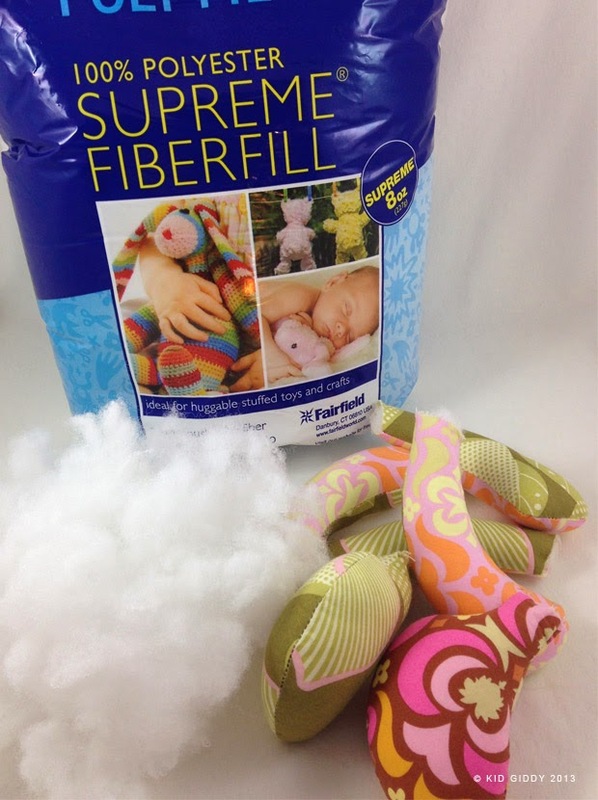 Thank you also to National Nonwovens for providing the wool felt for this project. 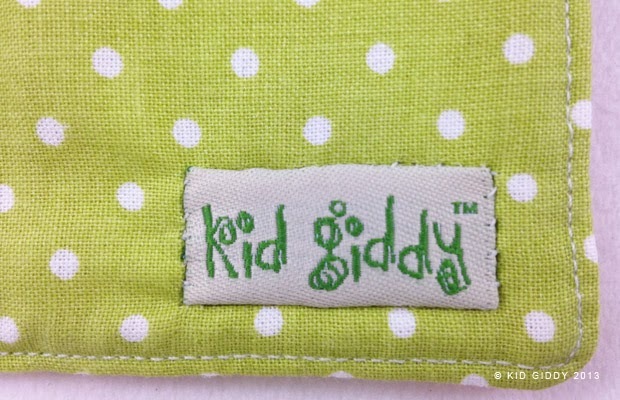 It's Day 2 of the Sewing Tales Book Blog Hop and despite the mornings getting colder and colder up here in Maine, things are heating up in here in the kid giddy studio. It's not snowing yet outside, but my daughters are asking for it already. So on this chilly morning, I have 4 new bloggers to book hop along with, and another Sewing Tales Book Bonus Project to keep you warm. We've even been listening to Christmas songs already *gasp* and I can't help myself and want to call this bonus project the "baby it's cold outside cape and satchel". As soon as the weather turns cold - we get the Christmas fever. I think it's hereditary?! 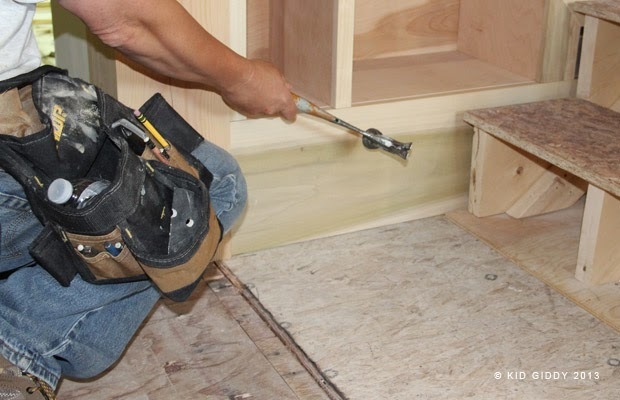 You should play some holiday music while making this project. It will make it all the more fun. Click on the Bonus project image below to take you to the PDF Google Doc to print out. 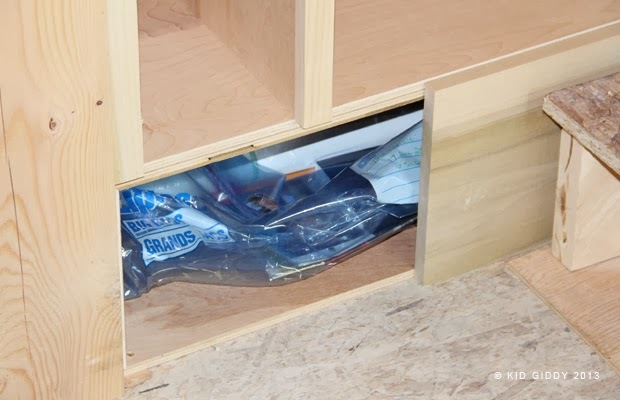 Underneath the base of this triangle is where you want to place your elastic. I bought this Clear Dritz Elastic myself a long time ago thinking it would be useful someday. I was right. 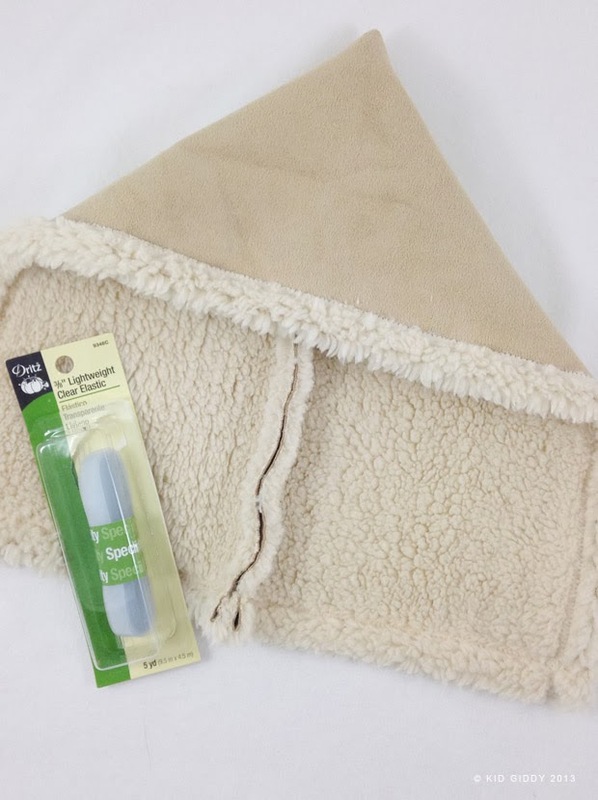 I love the fact that you can use it and won't see the elastic as you would if it were white, on this tan sherpa material. It works perfectly and I love sharing good things! 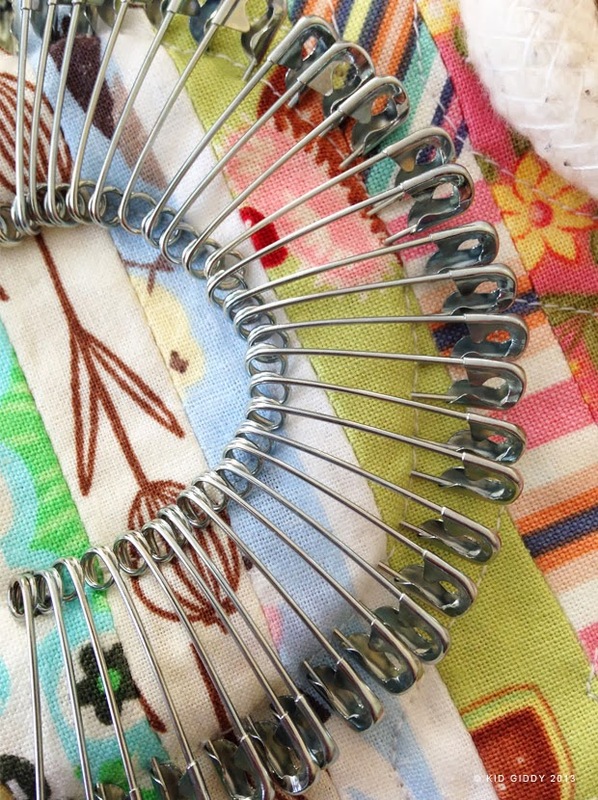 Any elastic will work really well if you stretch it as far as you can while you are sewing it down. You can add frog closures or ribbons on the two ends of the elastic for the cape if play will be involved, but I preferred not to on this one. It was nice and snug and stayed on the gnome without falling off. I wasn't playing with it though - so use anything you have laying around. Thanks so much for coming by and for supporting the blog hop and my book. I can't wait to see your Gnomes all dressed up for the winter weather. 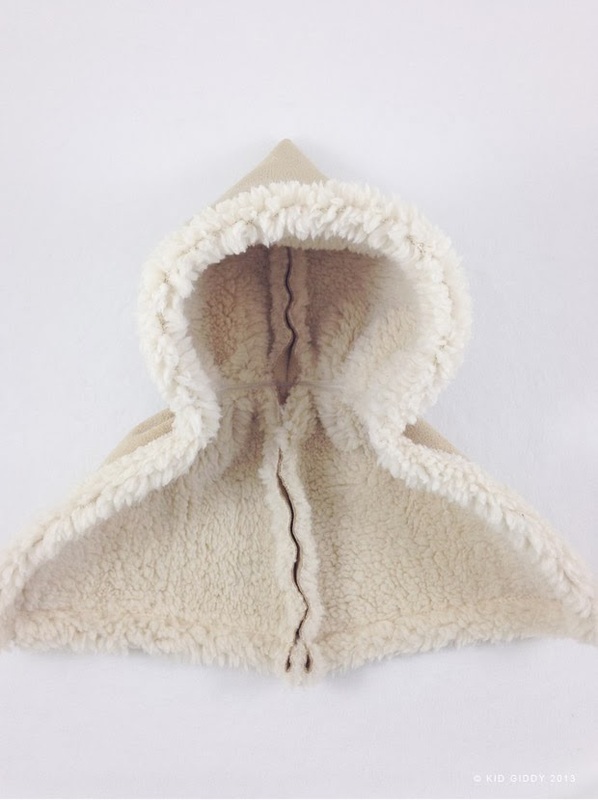 You can shrink/enlarge and re-size the measurements to make capes for the mice too or any other doll or animal (This is the same way I made the teeny tiny cape for the Queens in the Snow People Chess Set)! 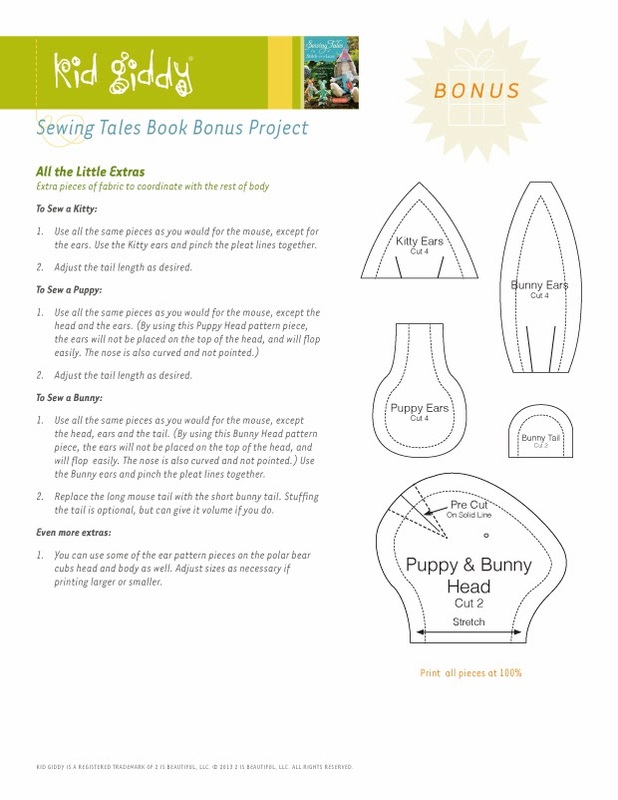 Make sure you stop in tomorrow for 4 new bloggers and another fun Sewing Tales Book Bonus project! If you haven't already, please click that link below and sign up to receive my newsletters. Have a great Tuesday.